It'll be a wild ride--run with your best friend, your mom, your daughter, or new friends through the intense, gorgeous landscape of the outlaw heroines' journey. 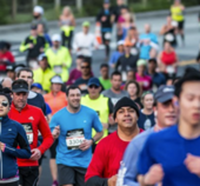 The 6th annual Thelma & Louise Half Marathon will inspire, challenge...and give back. Proceeds go to Girls on the Run and Seekhaven Family Crisis Center.